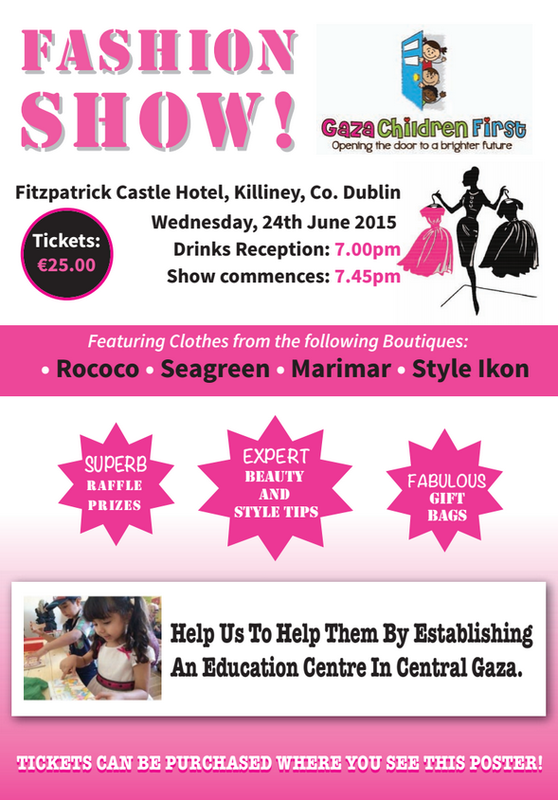 Gaza Children First is a new charity based in Dublin, working towards establishing an education centre in central Gaza. 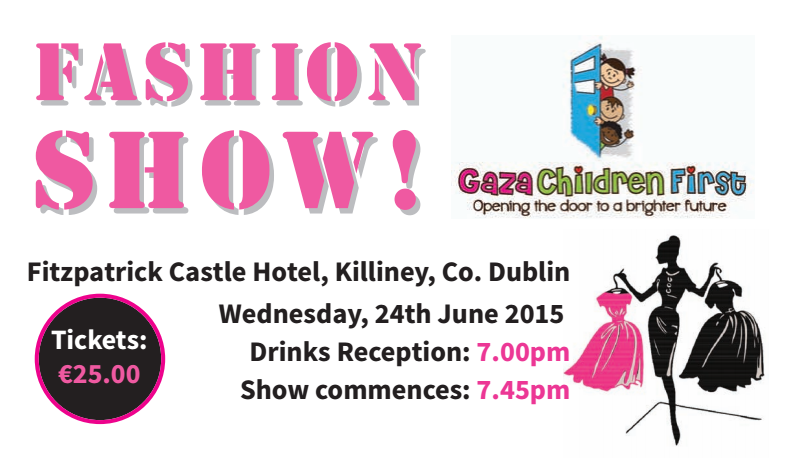 On the 24th of June, they’ll will be launching the charity with a Fashion Show extravaganza held in Killiney Castle and featuring clothes from Dublin boutiques such as Rococo, SeaGreen, Style Ikon, Marimar, Miss E and Choice. The fashion show is aimed at women but it will also some stylish pickings for men from Diffney. There’ll also be amazing gift bags and surprise celebrity appearances.